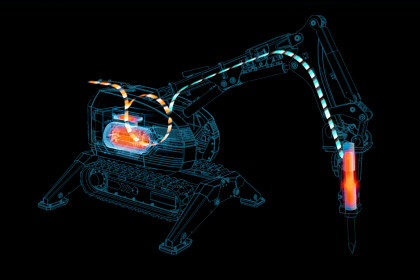 The greenest diesel demolition robot on the planet. And a mean beast, with 40 percent more hitting power and the ability to size up attachments. We took the mid out of the middle-sized machine. With Brokk 300 you get a 40 percent stronger punch and can carry heavier and more powerful tools. There is a new weight class in town. 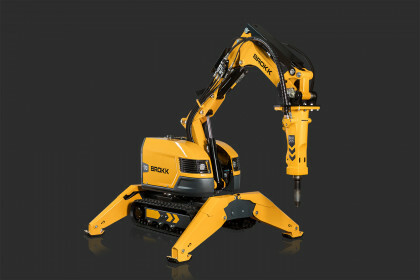 Brokk 200 is a masterpiece of muscles in a 2,1 ton compact machine with exceptionally small footprint. With Brokk SmartPower™, you get the world’s most intelligent power system, designed specifically for heavy duty demolition. 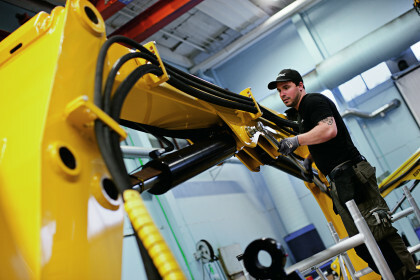 Brokk Uptime is the next level in service, support and training. Upgrading and smartifying the market leader. Incredible power and surprising accessibility.